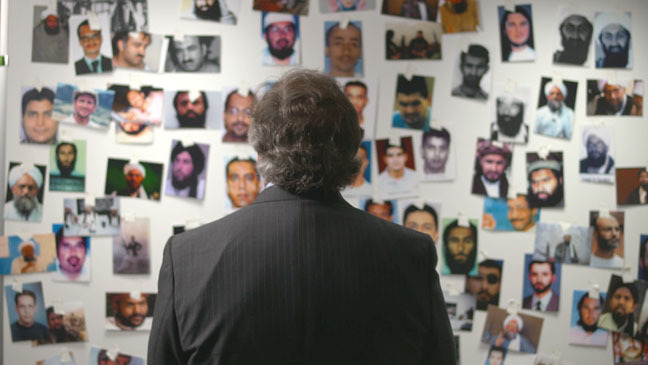 A big high five to the team behind Greg Barker’s “Manhunt: The Inside Story of the Hunt for Bin Laden” (Passion Pictures & Motto Pictures in association with HBO Documentary Films). They’ve recently won an ‘Outstanding Documentary For Nonfiction Special’ Emmy > very exciting! We were involved in designing Manhunt’s conceptualised narrative cards, and worked with Greg for a few months up until the very last moment of Sundance delivery! Manhunt is soon to feature in London Film Festival’s Documentary Competition where we’re looking forward to seeing our work on the big screen. For further information please see the BFI LFF website.